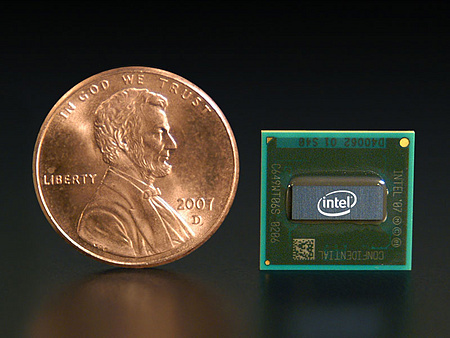 The Intel Atom N270 is a typical netbook single core CPU which is clocked at 1.6 GHz. The Atom core was designed for a low power consumption and cheap production. The downside is the relative low performance per Watt (due to the in-order execution) compared to similar clocked Celeron processors, e.g.. Still the integrated Hyper-Threading (the operating system sees the CPU as a dual core CPU) decreases the penalty of the in-order execution a bit. The performance of the N270 is only compareable to a 1.2 GHz clocked Celeron M and therfore only sufficient for non demanding applications like Office or web surfing. HD videos, advanced photo editing, video cutting may not run fluently.